1. 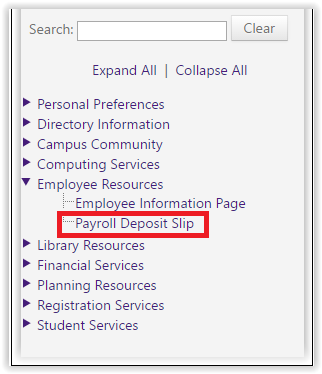 In myLSU, click on Employee Resources on the left-hand side of the screen. 2. 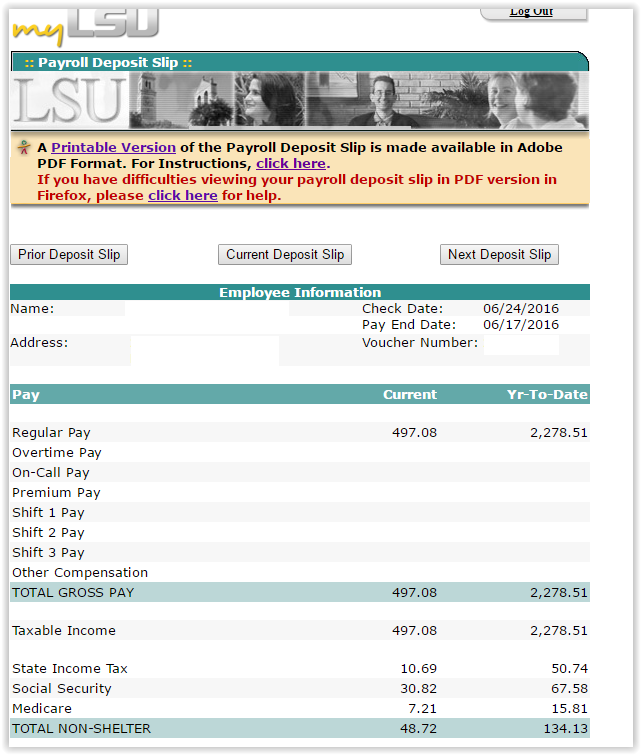 Select Payroll Deposit Slip. 3. Here you will find the payroll deposit slip.